Before continuing with a set of posts on some recent lectures at CSAS, Berkeley, of relevance to Aadhaar, I want to turn back for a time to the inclusion/exclusion of the Indian Northeast. Earlier I had posted on a series of themes: (1) on intense debates, in the state of Assam, over whether Aadhaar/UID would legitimate illegal migrants from Bangladesh as de facto citizens by providing residence-based entitlements; (2) on government efforts, in the state of Tripura, to register a high proportion of the state’s population with UID, marking the state as both distinct from the rest of the Northeast and politically and racially central to an Indian polity to which it is geographically peripheral; (3) on millenarian concerns, in the state of Mizoram, that UID/Aadhaar in its reducing each person to an indelible number writ on the body (i.e., biometrics) bespoke the mark of the Beast, that is Anti-Christ. I want briefly to return to Tripura, which has recently garnered some national and NRI-focused publicity for following the state of Jharkhand in an extensive rolling out of old age pensions. If reporting on a population being granted the technological means for “financial inclusion” under these new terms of national belonging constitutes a “publicity of inclusion,” the Tripura publicity may serve a different set of regional commitments: not so much the developmental commitment to bringing the backward forward, as in the case of Jharkhand, but rather the national-integration and racialized commitment to bringing the geographically and racially marked margin into the center, in relation to Tripura. 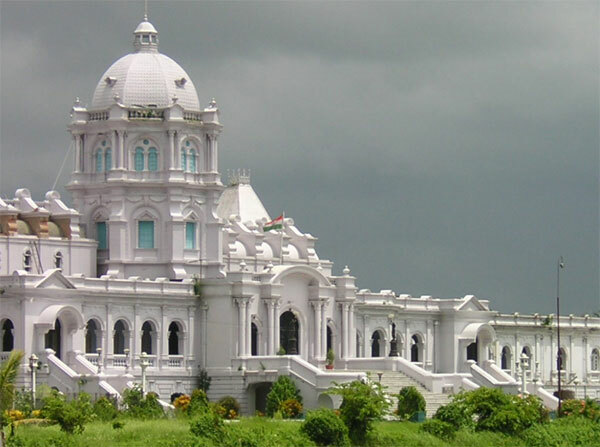 Tripura’s marginality is arguably complicated by earlier waves of Bengali migration: the resulting distinctive racialization of state identity in relation to the national anthropology of tribal inclusion and difference-fixation, I have argued, produces a doubled intensity of a desire for inclusion, financial-developmental and national-racial, by what is often constituted as a Bengali population-in-exile. One does not have to compare the distinctive publicities of inclusion of Jharkhand versus far-off Tripura: even within the Indian Northeast, the logic of marginality and its relation both to geographies of racialization and long-term grammars of difference varies across states, as the immensely disparate government of inclusion and identification under UID/Aadhaar demonstrates. I suppose the point here is that UID is being rolled out at “the margin,” but that the logic and form of what a given margin is varies in significant ways: and that if a margin bears a particular relation to the promise of inclusion, that relation will also vary accordingly. And, the second point, that as specific instances of “inclusion” (Jharkhand yesterday, Tripura today) become sites for publicity, they may be subject to a public logic drawn more from a given form of margination than another given form. Okay: to the article in question: as usual, I post it and offer 3 brief notes. I will use a version of a globally distributed wire service article (many newspapers having eviscerated their reporting staffs) from online version of the U.S. print tabloid the New York Daily News. The title of the piece suggests a serious error: much previous reportage names Jharkhand, not Tripura, as the first site to be used to roll out the Aadhaar pension program, a different form of the publicity of inclusion. But of course this a wire service article (a service fittingly if tragically named Smartwire) and fact checking by the worthies of the Daily News appears non-existent. Long live American journalism. The tabloid is publishing a piece that few who do not already have extensive knowledge of the Indian scene could understand, suggesting both that its own publicity increasingly demands experiments with cultivating shifting urban publics (as the NY outer boroughs shift away from the predominantly white working class Catholic enclaves of earlier generations) and that a news site no longer demands that a reporting staff translate specific political worlds for a non-existent general audience. Aadhaar numbers were used in the distribution of pensions on Friday for the first time since their inception. The government-issued identity numbers were used by 194 residents in the northeastern region of Tripura, according to Manohar Biswas, the block development officer. 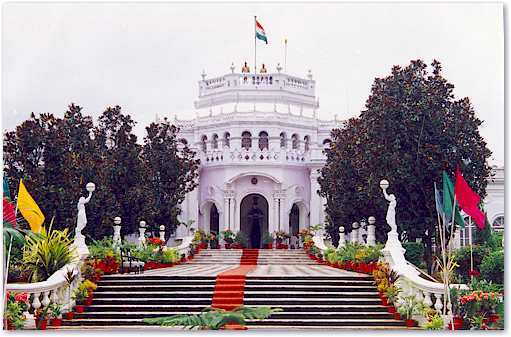 Tripura is the first state to enroll 90 percent of its population – 3.38 million – into Aadhaar, according to an official from the Unique Identification Authority of India (UIDAI). Tripura Gramin Bank is the first regional bank in the country to provide Aadhaar services. The official added that the adoption of Aadhaar marks the beginning of a new system of delivering banking services, including pensions, to people’s doorsteps. During a trip to Tripura in August, Rural Development Minister Jairam Ramesh said Aadhaar-enabled applications would soon be used to provide pensions, wages and scholarships in 50 districts across the country. Of the 50 districts, four are in Tripura and two in Sikkim. Aadhaar was first introduced in Jharkhand last year. UIDAI has enrolled 200 million people for Aadhaar and aims to register another 400 million in the next 18 months. (1) Rural: The focus is on rural inclusion. Presumably urban slum inclusion will eventually follow. Gyatri Spivak in a series of talks has counseled attending to the ways the urban/rural binarism works now in organizing projects, resources, and imaginaries. (2) Capture: Earlier, I posted discussions of the apparent fight between the Security focused NPR and the inclusion-focused UID, the competing repositories for India-as-a-database. In January 2012 India was to be divided in two zones, one under each database, and I suggested that NPR would focus on high security border, minoritzed, and internal insurgency regions. But UID is clearly intent of capturing data in border regions like Sikkim and Tripura and insurgent areas like Jharkhand. The zonal divide is not clear. (3) Pension: I do not yet know who receives pensions and specifically which programs are at stake here. I would welcome information.